Loose Tea Versus Bagged Tea – What’s The Difference? As some of you might recall from Tea Love’s Facebook, I recently attended a spa event in my downtown Cranford, New Jersey area held by a new store, Artemisia. They cite themselves as an “Artisan Gift Shop featuring American-made, Fair-trade eco-friendly and organic gifts for Beauty & Home.” What I found most exciting? They sell organic tea there! Of course, I plan on going straight over there after getting my pay check. While perusing their tea collection (all loose tea), a woman approached and asked what the difference was between loose tea and bagged tea. The store’s owner, Wendy, explained to her some of the basic reasoning. Needless to say, I stood nearby bubbling with excitement, barely able to contain my know-it-all-ology of all things tea-related. I kept my mouth shut or I would have gone on an hour-long tangent about tea sprinkled with plenty of shameless plugs for my blog. But there are a few reasons to choose a loose tea over a bagged tea. Bagged teas, granted, are great for expediency and less mess. After all, what is better than just taking a tea bag, throwing it in some boiling water and running out the door? And on top of that, you do not need to clean out two tea pots; you only need to wash out your tea mug and you are done. But the issue is that tea bags contain what is known as tea fannings, or dusts. What do I mean by this? Leave the computer for a second and go get a tea bag. Open the tea bag (you might want to be careful here, so you do not get tea all over your keyboard). Look inside that mish-mosh of, well, whatever is in there. Most of the times, you cannot distinguish between the items in the mesh bag. Brands like Mighty Leaf does have tea bags that are rich in contents and you can tell the difference, true, but most tea bags are just the fannings. This does allow you a faster brew, but you lose the flavor or get too much flavor, depending on the tea. Not only that, some teas that can be steeped more than once often cannot be unless it is a loose tea. 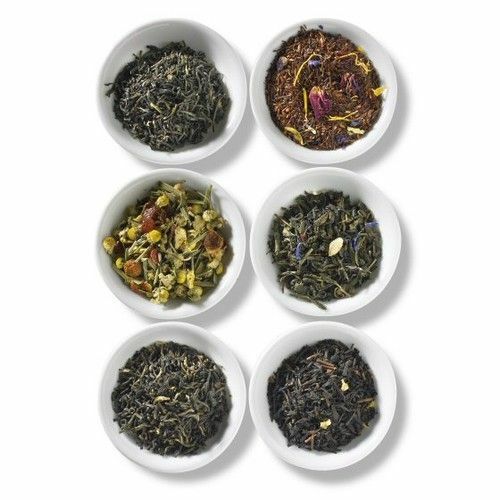 Loose tea leaves allow for a richer flavor and allows the tea leaves to actually open. You are getting the best quality this way. You can also easily blend your tea, which is an added perk if you care to experiment. The down side? The best way to drink loose tea is to throw it into a separate tea pot, allow the tea to brew and pour that into a tea mug. You make twice the mess and you take up more time this way. You can throw it into a tea ball but the tea leaves do not have a chance to open, thus robbing it of its flavor. Honestly, brewing the former is worth it, I do promise you that. But yes, it is a bit more of a hassle. I suppose loose tea just keeps you brewing tea the way it was meant to be – slowly and surely, a product to be savored. Both loose tea and bagged tea do have expiration dates. After six months, tea tends to lose its flavor and after a year of improper storage (not storing the tea in an air-tight container), it will become stale. Proper storage is key. I am fully guilty of throwing in a tea bag into a mug and running around in the mornings but if you want a better cup of tea that you can sit down and enjoy, go after loose. It will be well worth the effort.